iPad Art Room » Doodling is good for you. Really good. 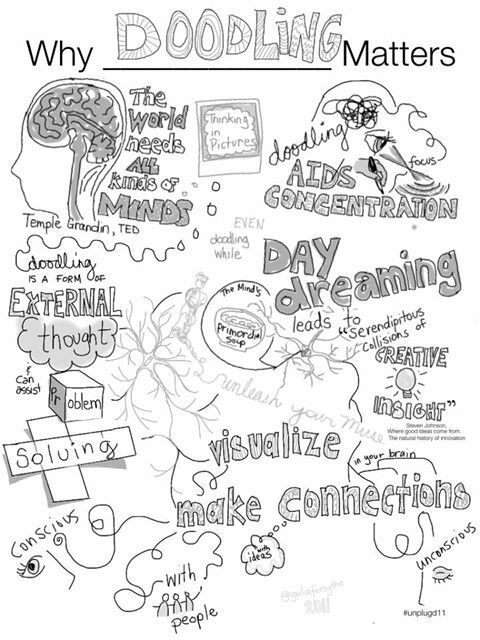 A great TED Talk on the power of doodling…yes, really! ” There is a powerful cultural norm against doodling in settings where we are supposed to learn. 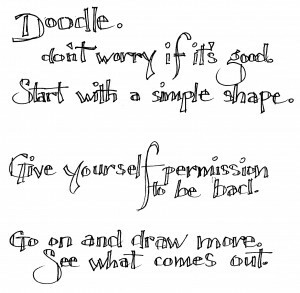 Visual specialist Sunni Brown wants to bring back the “do” in “doodle,” and is leading the Doodle Revolution. 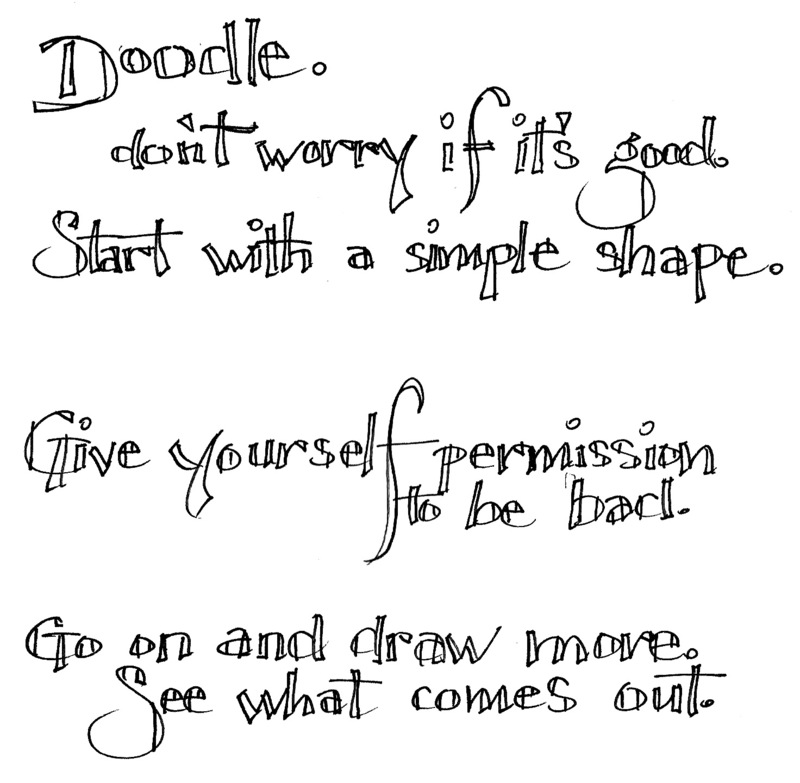 In this TEDTalk, Sunni Brown extols the benefits of doodling—using doodle examples, of course. Studies show that people who doodle have 29 percent greater retention of verbal presentations. Further, doodling stops people from losing focus and boosts comprehension and creative thinking. Given the opportunity, Ms. Brown would submit this new definition to the Oxford English Dictionary: doo.dl.ing (dood’l’ing) v. To make spontaneous marks to help yourself think. People who doodle retain more information than their non-doodling counterparts. Doodling engages a variety of learning styles and has the potential for an emotional experience as well. This leads to potential for learning. Across all space and time, all children share the innate desire to doodle …. doodling may therefore be native to humans. If you enjoyed this post and want to see some exciting applications for doodling, sketch notes and visual storytelling, check out the RSA animate of Ken Robinson’s classic TED talk, here. It’s so interesting. When I first started teaching I thought kids doodling meant they weren’t listening. Now I always think twice because they might actually be deep in thought.